Every reporter has stories that make them sad, happy, proud and embarrassed beyond belief and I’m no different. From time to time here, I’ll give the backstory on some that were published through CanWest News (now Postmedia) at various outlets across Canada. Even in the womb, she had such a thick head of hair that it showed up on an ultrasound scan. She was born during a snowstorm at Victoria General Hospital on Feb. 22, 1989. Her parents named her Amanda Emily Ann Anderson. She weighed 7 pounds, 10 ounces. Her sister Sarah brought her to kindergarten as a “show-and-tell” item. Her eyes were brown, but in a certain light they looked like autumn chestnuts. 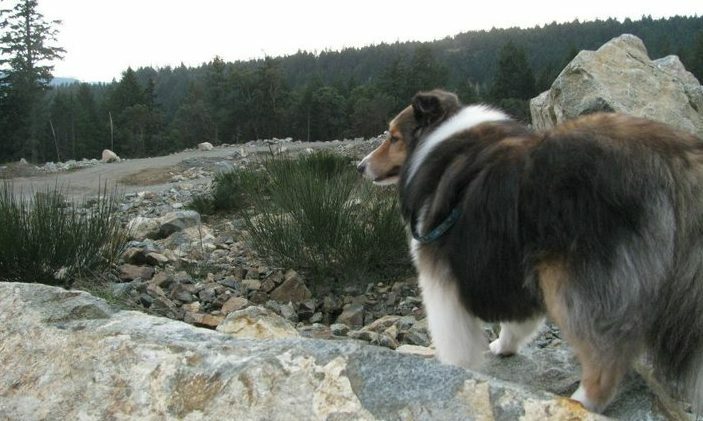 Her father left when she was a baby, so her mother took the two girls home to Sooke. Her grandfather sat and waited with her at the school-bus stop. When she came home from school, he made her fingers-and-toes sandwiches, hot-dogs and home-fried chips. She was the only grandchild who got away with being cheeky to him. She went crabbing with her grandmother. They sat on the edge of the wharf and talked for hours. Her favourite Christmas and birthday gifts were Power Ranger action figures. At seven, she saw her biological father for the last time. Her mother taught her how to ride a bike. She said, “I’ll never be able to do it.” Then she did it. Instead of using shampoos right out of the bottle, she mixed them up in the bathtub to make her own scented blend. She mixed perfumes, too. In Grade 4, she won the John Muir school math championship. She did it again in Grade 5. At 10, she was baptized by Rev. Keith Johnson in the Sooke River. She cried when one of the family’s cats died. She buried it in the backyard and heaped purple flowers on the grave. By the age of 11, she was tired of wearing her older sister’s clothing. She wanted to get a job, but her mother said she was too young, so she started breeding Balinese cats, and arranged to have litters born every August so she would have money for new clothes at the start of the school year. She was still 11 when her mother surprised her and Sarah with a vacation to Mexico that they could not afford, but took anyway because Sarah would graduate that year and it might be their last chance for a family vacation. With bus tickets bought on a two-for-one $162 seat sale, the three rode down in four seats. They slept in crummy hotels, and the girls were so mad they said they would kill their mother. In Tijuana, they took a chance, paid a buck apiece on a bus-ride to a beach they had never heard of. “We were scared to death,” recalls her mother. The girls rode horses on the beach. Mandy accidentally took a sip of water and got sick. They had to turn around and go back after only two nights. They had the time of their lives. They took a road trip around B.C. in their old white CRX Honda. Packed full, the car could not top 30 km/h over the Coquihalla. They rocked back and forth, and cheered the car on as they crawled up the Rocky Mountains. They laughed like crazy. Mandy played the church piano when the sanctuary was empty. She loved everything about Japan and went there on a school trip in Grade 8. As a teenager, she stretched a towel on the kitchen counter, laid her head on it and fanned out her hair and urged her mother to iron it. “It’s simple,” she told her reluctant mother. When she was alone in the house, she turned all the lights on. Her mother moved an encyclopedia set into Mandy’s room when she discovered Mandy was sneaking them in to read at night. She snacked on cold Zoodles straight out of the can. She loved summer camp, played soccer, earned a blue-stripe belt in taekwondo, and became a lifeguard. She complained when her family made random “mouth noises,” but she volunteered at a provincial sports festival for people with mental disabilities. Some of them drooled, and smacked their lips. It never bothered her. At 14, she asked for clarification on the no-boyfriend-until-16 rule, and then announced she had a boyfriend. She wrote book reports on the same two or three books year after year. She never got caught. At 15, she stopped confiding in her mother. A year and a half later, she started again. “I had my daughter back,” says her mother. At 17, she gained a stepfather when Randy Harding married her mother, Kimberly. She kept her room in disarray, but folded and neatly stacked her blue jeans and tank tops on the shelf. A tower of notebooks and binders stands beside her bed. Next to her computer is an empty application to the B.C. paramedic program. She couldn’t apply until she turned 19, but she was preparing for it anyway. On Oct. 5, 2006, her sister Sarah, now married and moved away, paid a surprise visit to Mandy at school. She walked into Mandy’s class and let Mandy feel her belly where Sarah was carrying Mandy’s first niece or nephew. The next day, at 8:35 a.m. Mandy, 17, set out for school, driving the family’s old Honda. At the bottom of a hollow where the rain-slickened road curved, the car skidded across the centre line into the path of an oncoming fire truck. Her heart torn apart, Mandy died instantly. The mayor cried on the evening news. Sooke’s high school and recreation centre shut down. At her funeral, her uncle gave up his place as pallbearer to her biological father, so he could carry his daughter for the last time. The girl who fretted she wouldn’t fit in packed the church with more than 400 mourners. She left $200 in her bank account. With the money, her mother filled shoeboxes for Operation Christmas Child for needy children overseas. Backstory: Features reporters at the Victoria Times Colonist shared the newspaper’s weekly obituary feature, a grim business indeed. We each chose our departed subject, and I noticed a tendency to write up the city’s rich and/or famous. I wanted to go another way. A 17-year-old was on her way to school when her car slid across the centre line and collided with a firetruck – the only two vehicles on the road that early morning making this a heartbreaking chance encounter. The girl, Mandy Anderson, was not a natural choice for a city newspaper’s featured obituary. Grieving families of war heroes, the famous, the infamous, the wealthy, the uniquely accomplished, can expect media attention, but not the obscure. And Mandy’s family was obscure, as well as seeded from the working-poor – or as my mother says, “Our people.” Only these have the luxury of true privacy and so I was climbing over a barrier when I phoned the mother. She was uncertain about having Mandy’s story told, but to come anyway. She could use some company. I went fully expecting a cup of coffee, a little conversation and a firm “No,” but another twist of fate opened the door, as I literally knocked on the family’s door. The mother was on the phone with a friend. She announced to this friend that a reporter was at the door. It turned out her friend was also a friend of mind. Serendipity. The mother let me into the girl’s room and as I surveyed the items there, the unmade bed, the unfinished homework, the still-empty crisp college application forms, the mother related her child’s life in the simplest but most poignant of details. My editor wondered why I chose to write about Mandy Anderson, but not after he read the story, saying it brought the whole night news editorial desk to tears – fathers and mothers all of them. Mandy was a teenage girl who didn’t die because of drugs, alcohol or reckless driving. She hit a patch of water in a low-lying piece of road. Her life was one that mattered, just as all children’s lives matter so dearly. Hers was a short life acquainted with poverty, abandonment, loss and tragedy, but it was also a great life, ushered along by a wild, devoted woman of a mother who defied it all to turn her struggle and then her loss into a sort of lovesong. The pictures remain in my head years later: Mandy’s mother’s partially shaven head – doctors had just taken three tumours from her brain, her worry about finishing a Masters degree, the yawning maw of grief alongside the fresh news of a first grandchild on the way from her surviving daughter – the Lord giveth and the Lord taketh away, she said, but who knew He would be so quick about it? Mandy is buried in the Sooke Harbour Cemetery alongside a woman named Margaret Stephens who died of a lung condition about a year earlier. Oddly, Margaret was the school librarian at Pacific Christian High School where Mandy attended and so Margaret chauffeured Mandy over the hour-long commute twice a day. Side-by-side in life, and I can imagine the conversations between the elder and the younger, and now they are again side-by-side for a much longer ride. It’s a good pairing.